A new vision system from Tekna Automazione e Controllo can be discovered at this year’s expo. The innovative three-dimensional vision system is designed to detect any defect in passenger tires. 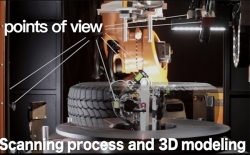 It is easy to integrate in existing production lines and guarantees objectivity in the quality control process thanks to the laser profilometry, a technique that triangulates camera and laser data to allow the system to quickly create a 3D reconstruction of the tire – inside and outside – with a high resolution. The vision units of the system are automatically moved to the right positions, according to the dimensions of the tire. 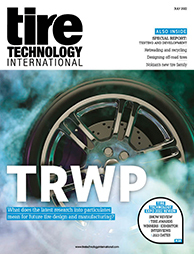 The software then processes the data to determine if the tire shows any defects, returning results in real time. The software uses pre-set tolerances to make this decision.